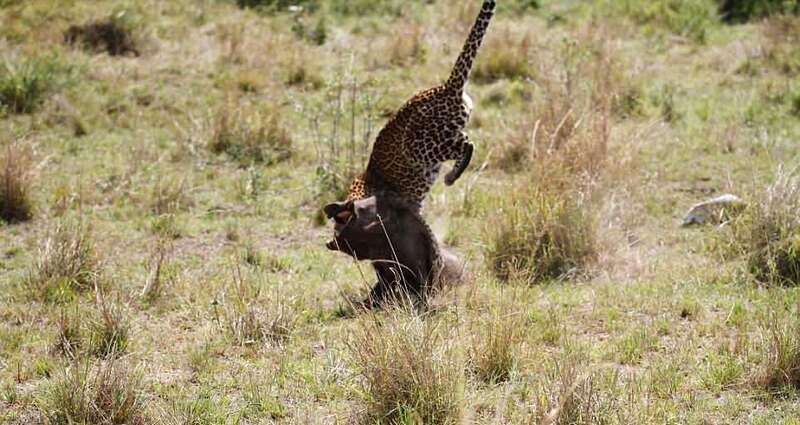 A panicked warthog's desperate struggle to escape from the clutches of a hungry pregnant leopard has been captured in a series of stunning action shots in Townsville, Australia. 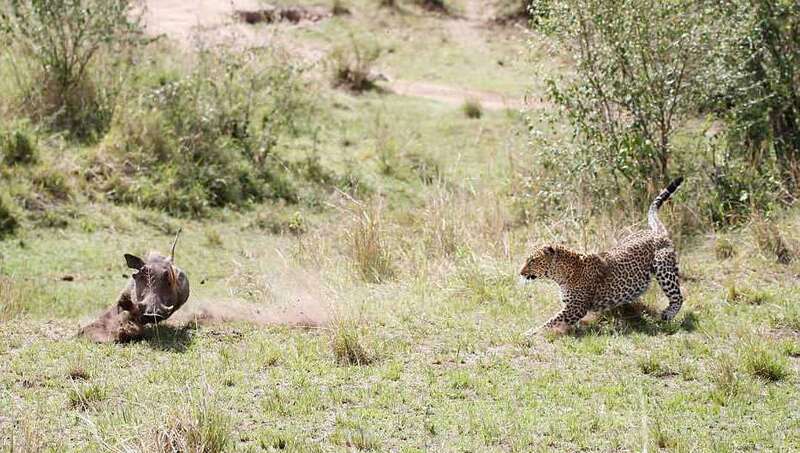 Images show the 130-pound leopard stalking its prey in a thicket of bushes before the warthog becomes aware it is about to become dinner and makes a run for it. 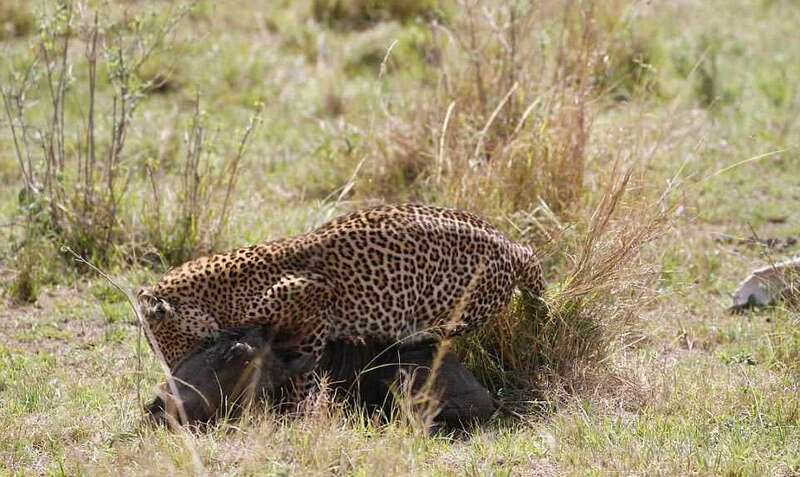 The pics are not from Townsville Australia but from Maasai Mara park in Kenya. The person who shot the pics is from Townsville Australia. There is still no credible evidence that the big cats exist in Australia apart from a few claims of rare sightings. There are no Leopards live in Australia!!! 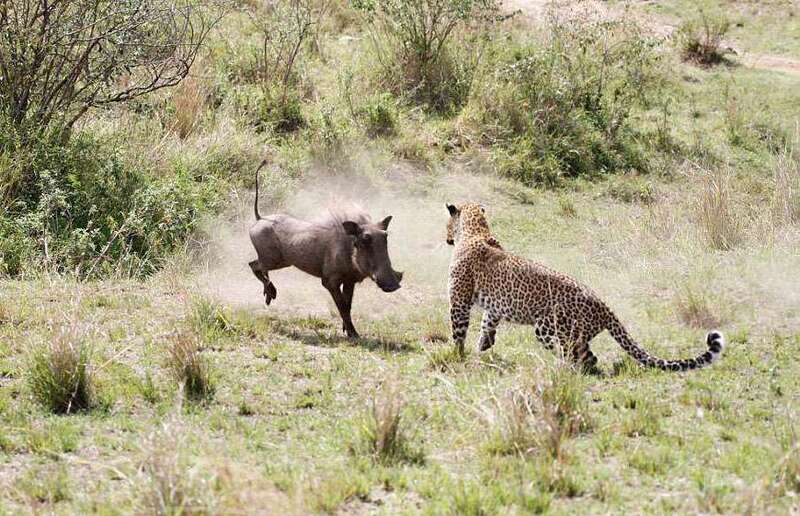 Neither warthogs nor leopards are in townsville in Australia. This should be from Africa. 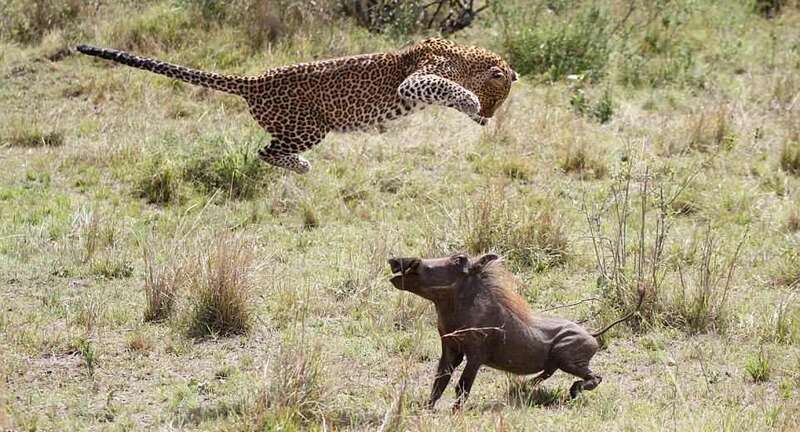 There are no warthogs or leopards in Australia. These pictures were taken somewhere in Africa. One more irresponsible journalism. There is no Leopards, Lions, Tigers in Australia. "Leopards in Australia?" Well, I'd like to see that! 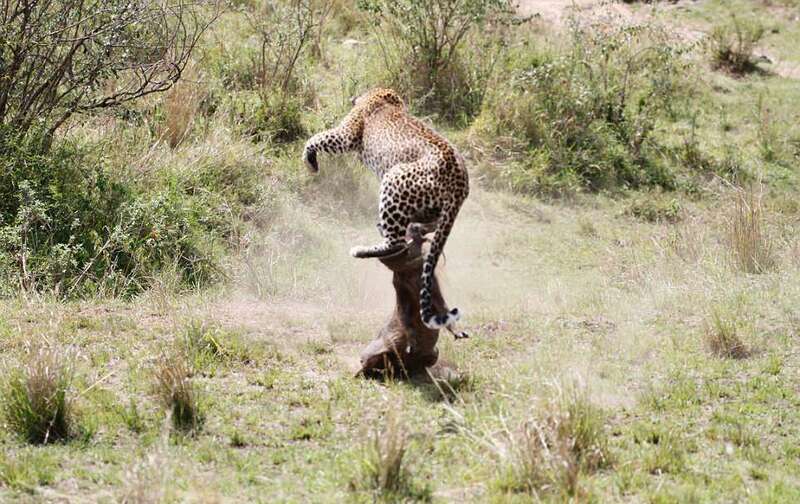 There is no one dare to take a photo of the Political Cheetah prey on innocent people of Sri Lanka.